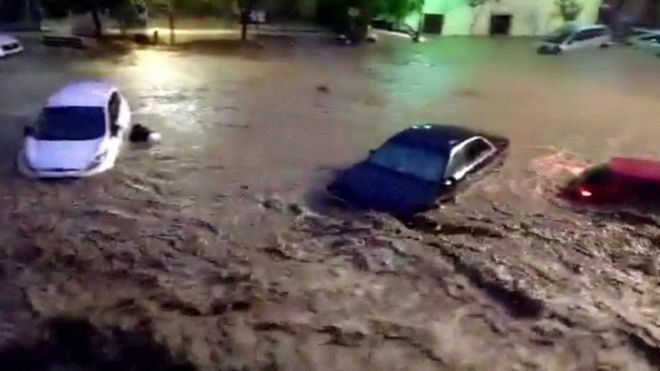 Two British people have been confirmed dead after flash floods in Majorca. 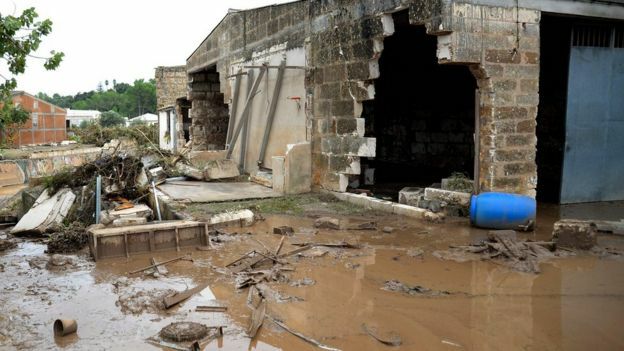 At least nine people in total are believed to have died after torrential rainstorms hit the area around Sant Llorenc des Cardassar on Tuesday night. The Britons, thought to be a couple, were reportedly in a taxi when the deluge swept through. The Foreign Office said it was supporting their family and was ready to assist any other British people affected by the flooding. Weather forecasters reported that eight inches of rain fell in the area - 40 miles east of the capital of Palma on the Spanish island - in just four hours. Antonia Bauza, the deputy mayor of Sant Llorenc, told the Cadena SER radio station that two local people also died in the town, including an elderly woman found in the basement of her house. At least two others are known to have died in the nearby town of S'illot.